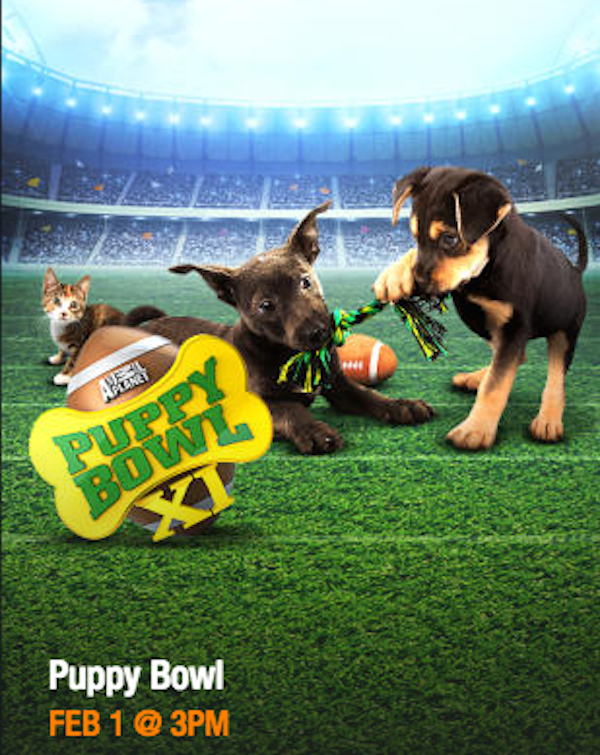 Watch the Most Anticipated Sport Event of the Year: PUPPY BOWL XI!! It’s the most anticipated sports event of the year. Millions gather around the TV to see who will win the ultimate Bowl game of the year: The Puppy Bowl on Animal Planet on Sunday, Feb 1 at 3PM. The game comes complete with a pregame show you can find online at www.animalplanet.com. Will it be team Ruff or team Fluff who brings home the Lombarki trophy? The show is filled with fun entertainment, such as the halftime show with Katty Furry. The Game announcers; Jack Russell, James Hound, and Rott Weiler will give you play-by-play action. You never know when pet care emergencies happen, so referees will be keeping an eye on any penalties or unnecessary “ruff-ness.” They will be at the ready equipped with flags, and maybe even a little carpet cleaner. Who do you think will be MVP of Puppy Bowl XI? Reblogged this on It Ain't Hemingway.